Ceritech Audio's open day features products from MOON and Totem Acoustic | What Hi-Fi? 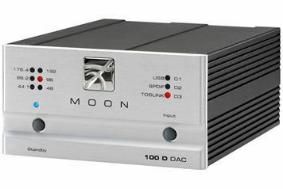 Among the new MOON products on display will be the new 100D DAC, 350P/400M pre/power amps and the new Evolution Series CD transport, DAC and amplification. Totem Acoustic's speakers will also be on demonstration, including the company's flagship Wind Design model. As well as playing CDs, the company will also be demonstrating how to get the best from digitally streamed music, and the event runs from 2pm to 8pm. Spaces are limited, and you can apply for an invitation by phone on 0844 7636 5719. or by emailing Ceritech.